It is a challenge to succeed. If it were not, I'm sure more people would be successful, but for every person who is enjoying the fruit from the tree of success, many more are examining the roots. They are trying to figure it all out. They are mystified and perplexed by what seems to be some strange, complex and elusive secret that must be found if ever success is to be enjoyed. While most people spend most of their lives struggling to earn a living, a much smaller number seem to have everything going their way. Instead of just earning a living, the smaller group is busily engaged in designing and enjoying a fortune. Everything just seems to work out for them. While the much larger group sits in awe at how life can be so unfair, complicated and unjust. "I am a nice person," the man says to himself. "How come this other guy is happy and prosperous and I'm always struggling?" He asks himself, "I am a good husband, a good father and a good worker. How come nothing seems to work out for me? Life just isn't fair. I'm even smarter and willing to work harder than some of these other people who just seem to have everything going their way," he says as he slumps into the sofa to watch another evening of television. But you see you've got to be more than a good person and a good worker. You've got to become a good planner, and a good dreamer. You've got to see the future finished in advance. You've got to put in the long hours and put up with the setbacks and the disappointments. You've got to learn to enjoy the process of disciplines and of putting yourself through the paces of doing the uncomfortable until it becomes comfortable. You've got to be prepared and willing to attack the challenges if you want the success because challenges are part of success. Now that may sound like a full menu of activities, but let me assure you that the process of going from average to fortune isn't really all that difficult. Thinking about it is the difficult part. Anticipating all the effort and the changes and the disciplines is far worse in the mind than in reality. I can promise you that the challenges you'll meet on the road to success are far less difficult to deal with than the struggles and the disappointments that come from being average. Confronting and overcoming challenges is an exhilarating experience. It does something to feed the soul and the mind. It makes you more than you were before. It strengthens the mental muscles and enables you to become better prepared for the next challenge. I've often said that to have more, we must first become more, and to become more, we must begin the process of working harder on ourselves than we do on anything else. But in addition to gathering new knowledge, new skills and new experiences, it is also important to discover new emotions. It is how we feel about what we know that makes the biggest difference in how our lives turn out. How we feel about the chances we have and the choices we have determines the intensity of our effort. Whether we try or don't try. Join or don't join. Believe or don't believe. I'd like for you to discover some strong feelings about your life and about what you want to do with that life. You probably have much of the knowledge and a lot of the experience and perhaps most of the skills that it takes to become successful. What you may be lacking in are the strong feelings about what you want and what you want to do. You may be one of those who have become so involved in the process of earning a living that you've forgotten about the choices and the chances you have for designing your own life. Let these strong feelings help you take a second look at your life and where you're headed. After all, you've only got one life, at least on this planet. So why not make it an adventure in achievement? Why not discover what all you can do and what all you can have? Why not discover how many others you can help and in the process how that can help you? Why not now take the Challenge to Succeed? In today’s world of over-selling, hype and fraud at the highest levels of our society, nothing could be more important to a sales person and business owner than building trust, admiration and respect with prospects, customers and associates. Most of us are in a highly suspect business to begin with. Network Marketing, to some people, does not spell value, honor and integrity. Yet to us, it does. So how do we bridge the gap and shine some light on what we see in our chosen profession? Trust is obviously not given automatically. It must be earned. Too often, we take it for granted — either because we trust ourselves, trust others or fail to recognize in the moment how others may see our offer of financial gain. Trust is earned through what we say and what we do. In these actions we must become predictable and believable to others. Predictable means that others must learn, based on what we say and do, and that we are consistent. For example, doing what we say we will do. Early in a relationship this can be as simple as showing up or calling on time; or following through completely on getting an answer to a question. Later, as people feel they know who we are and what we stand for, they expect to see us act according to that identity. This is called having integrity and it creates trust. When you have the courage show people glimpses of your humanity, then what they get is you. Believable means that people tend to believe what we say. In this sense, it is sometimes not the best idea to tell the whole truth. Perhaps you truly do earn $20,000 a month part time. Maybe it would continue to flow whether you worked it or not, making it worth $4 to $5 million. If who you are telling this truth to cannot fathom it, then you may be gaining in ego, but losing in trust. People need to be able to believe what you say — both in its content and, most importantly, how you say it. Sincerity can be faked. Authenticity cannot. Authenticity is the real you. All of you — the good, bad and the ugly. When you have the courage to tell people not just all of your wonderfulness, but also show them glimpses of your humanity; then what they get is you. And even though you will not be perfect, people believe in the authenticity and humanity of others. Perhaps you do have an extraordinary income opportunity or product to sell and perhaps you have failed to execute it yourself at times or perhaps you sometimes feel your product is expensive. Give them the whole you and nothing but you. People trust that. As you might expect, a lot of admiration can be created from building trust. So the path gets shorter after building trust. Obviously, people admire others for what they have accomplished. You may or may not have that going for you at the moment. Accomplishments take time. What you can do right now to be admired will depend on who you are for others. What we mean by this is what you contribute to the people who might admire you. Here, the greatest tool at your disposal is listening. Listening is an extraordinary gift that can be practiced by all of us, all the time. It is such a unique and extraordinary gift to others that when we give it they can be blown away by its impact on them, yet not know exactly what we did to have such an impact. Listening at this level has little to do with understanding the content of what someone says — although their name is worth remembering the first time they say it. Listening here is about hearing the source of their comments; hearing the emotion behind their conversation and the intent behind what they are telling you. More than anything in the world, human beings want and need to be heard, known, accepted and loved. When we are telling someone a story important to us, about us or just our opinion about something, we very much need for the listener to get it, to really understand what we are saying and why. This is often not found in the words being spoken, but rather in the energy of the speaker. A powerful listener will put their own desire and need to be heard, known and accepted on hold while they are fully focused and accepting of who is speaking and what is being said. This level of what we call Therapeutic Listening does actually heal people, as it is perhaps the first time since true love that someone listened to them in this way. Respect flows with gaining trust and admiration. And the value of respect in this business is that people tend to follow those whom they respect. Trust alone is often not enough, nor is admiration. But with respect, people will often buy what you are selling and go where you are going. On top of trust and admiration, you can gain respect with two powerful tools. One is your character. Having character in the eyes of others means they are clear about what your highest values are and understand that you honor those values. This is to know someone. If you know someone well enough to know that family, integrity, fun and leadership are the most important things to them — and you experience them living a life honoring those values — then they are seen as having character. Even people whose values we do not share have character. We may (if we embrace diversity) respect them, but choose not to follow them. Courage is simply to see danger and act anyway (assuming it is in your best interest). Courage is sourced in your motivation and therefore is in such short supply that anyone seen as having courage is highly respected. To the degree you are self-motivated, you will demonstrate extraordinary courage. Courage, for example, to tell the truth responsibly; to talk to people you would not ordinarily talk to; to speak to groups; to make and honor commitments; and to ask others to hold you accountable. We tend to respect people who have the courage to do the things we are afraid to do. Courage builds respect. 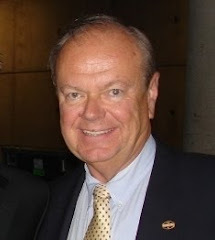 Follow The USANA Management Team on Twitter! In today’s uncertain economy, we can no longer count on our government or employers to make decisions or fund programs that will see us through retirement. It is crucial now more than ever to build a Residual Royalty Income to secure our financial future. If built right, that income stream will survive our efforts and keep coming whether we are making it happen or not. That is the essence of the unique economic value Network Marketing offers. But how do you create a Residual Royalty Income (RRI) you can count on over the long haul? In my experience, it comes down to developing leaders, then earning and keeping their loyalty. Regardless of your particular company’s compensation plan, building an RRI can be converted to a quantity of leaders in your organization. Instead of focusing on how much money you will earn, convert that income to how many leaders you need to achieve it. Creating and managing a plan to develop leaders is much easier than a plan to generate volume and/or income. 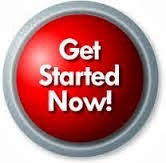 Let’s say your goal is to earn $3,000 per month. Based on your comp plan, you know that can be achieved by developing three separate established legs with $20,000 total monthly volume. Your plan is to create three leaders, one in each leg. A successful established leg is not created by looking at volume, or even the number of active distributors. It’s best defined by an organizational leader. Once you have a leader in the leg, that leader will establish the leg and grow it from there. What Defines an Organizational Leader? They have created a project and a specific plan for its attainment. They are self-motivated by their vision and maintain their own enthusiasm, persistence, attitude, and most importantly, their actions. They produce their intended results. Until you have someone who meets these four criteria, you do not have a leader. You may have a nice person who works hard and wants very much to be successful. You may even have someone who will do everything you ask. However, until they consistently produce from their own motivation, they cannot be counted on for leadership. In building my own network of over 30,000 distributors, I found it important to always express the goal in terms of leaders. Focusing on comp plan titles or an income level creates a shallow and often misguided approach to achieving the goal. It is possible in most companies to achieve a title, even without the leaders to sustain it. All it typically requires is a temporary stretch to get there. But often what is left is an empty shell of an organization and a monthly check that is unpredictable and unreliable. Instead of true Residual Royalty Income, what you have created is “out of integrity” in relation to your goal. And that leaves you powerless—with little energy or enthusiasm. Frustration begins to brew … and it’s all downhill from there. Instead of leadership taking a backseat to your title and income objectives, make it a by-product of your goal. When you focus on developing yourself as a powerful leader, you will attract powerful leaders to your organization. To build true Residual Royalty Income, your network must “take the lickings and keep on ticking.” You need your troops to keep using, recommending and sponsoring every month—no matter what. The key to accomplishing this lies with your leaders. Entire networks of distributors stay involved through thick and thin, based on how connected they are to their upline leaders. Leadership and relationships are the glue that holds the organization together. Keeping leaders is tough. By their very nature, a leader often needs more than we have to give. They are looking for their next challenge or frontier; for the place where they can be the leader. Leaders have strong opinions, and often the ego to match. It’s easier to fight with one of your leaders than anyone else in your network. This can lead to hurt feelings … and even parting company. So how do you earn and keep leader loyalty, and not die in the process? Perhaps not everything, but share with them a little more than you are comfortable with; especially with regard to issues they feel a strong need to know. Do more for your leaders than they expect you to do. Don’t “spin.” They are your partners; lay it all out and ask for their partnership, leadership and loyalty. Don’t speak one set of values and live another. Leaders see through this, and it erodes their confidence and loyalty. Make sure they know they have a strong place in that vision. What’s in it for them, long term? Weed out those who don’t meet the standards. Keep the bar high and in line with your spoken values; challenge your leaders to live up to it. Give them opportunities to lead in areas you normally do. They will see challenges from a new perspective and respect you more in the process. Honor their uniqueness and accept their imperfections. Like everyone, leaders are looking for a safe place to be themselves. Playing together builds stronger bonds and breaks down barriers. It encourages authenticity and friendship. Play is powerful, especially when enjoyed more often than is usual. Turn off your opinions and listen with your heart and mind. Let your leaders know they are heard—maybe not agreed with, but certainly heard. When your focus is on finding and developing leaders in this fashion, what you will build are lasting friendships, loyal partnerships and a true Residual Royalty Income that you can count on to secure your future. Listen to my interview with Art Jonak, “Advanced Leadership: It Starts With You,” for more tips, strategies and ideas. Science and research are at the core of everything USANA does. That’s what you’d expect from a company founded by a scientist. An outstanding, in-house research and development team carries on that scientific legacy. 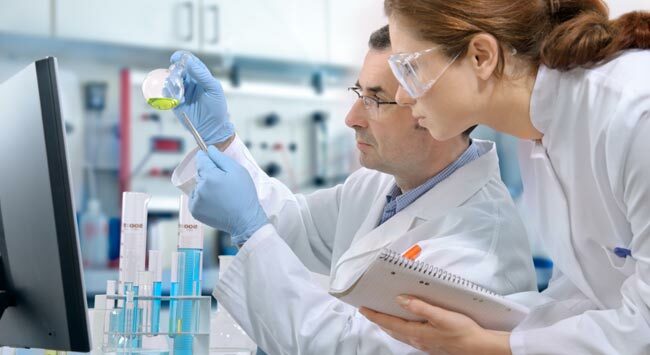 But USANA also reaches out to the scientific community to build symbiotic research relationships with a variety of prestigious institutions and organizations. Currently, two of the most fruitful relationships are with the Linus Pauling Institute (LPI) at Oregon State University, and The Orthopedic Specialty Hospital (TOSH) in Murray, Utah. LPI has a stated mission of helping people live healthy and productive lives through their research into vitamins, essential minerals, phytochemicals, and more—a mission very similar to USANA’s. The namesake, Dr. Linus Pauling—the only man to win two unshared Nobel Prizes—co-founded LPI in 1973. For almost 40 years, LPI has done extensive research on oxidative stress, and the function and role of vitamins, minerals, and phytochemicals in promoting optimum health. In 2007, USANA and LPI announced a 10-year partnership. There are already several studies underway, including everything from the interaction between vitamin C and lipoic acid, and an assessment of the micronutrient status of school children. This research helps each organization understand more about how specific nutrients and phytochemicals can lead to optimal health, and it helps USANA find new, effective phytonutrients to add to our product lines. USANA’s partnership with TOSH is a few years younger, but no less important. Since its opening in 1991, TOSH has been an international leader in orthopedics, sports medicine, and science. It is also one of only a few facilities worldwide that provide surgical, physical rehabilitation and medicine, and sports and nutritional science under one roof. Since the official partnership started in 2009, USANA has supported a series of studies at TOSH, with even more in the works. One study involves vitamin D and supplementation in patients with osteoarthritis symptoms. USANA products—including BiOmega™, the newly re-formulated Procosa®, the Essentials™, and USANA’s Vitamin D supplement—are involved in four human clinical studies dealing with the relationship between the products and joint health, strength recovery, and athletic performance in athletes. 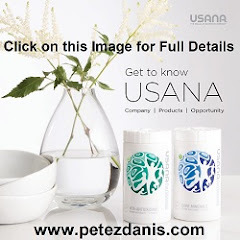 USANA also provides intellectual contributions to study design, analyses, writing, and presentation. And TOSH is well equipped to conduct human clinical studies, which can help further USANA’s product line. Both of these partnerships play a huge role in helping USANA continue to produce the highest-quality, science-based products that promote health and wellness. For more information, visit LPI and TOSH on the web.